and a focus on the narrative and dialogue. A world of cyberpunk, science fiction, horror, the grotesque and trash-talk humor. Supports Mouse, Gamepad and Local Co-op. Follow @talecrafter on Twitter for more development news. Progress, the friction of concept and reality, and a new tool. 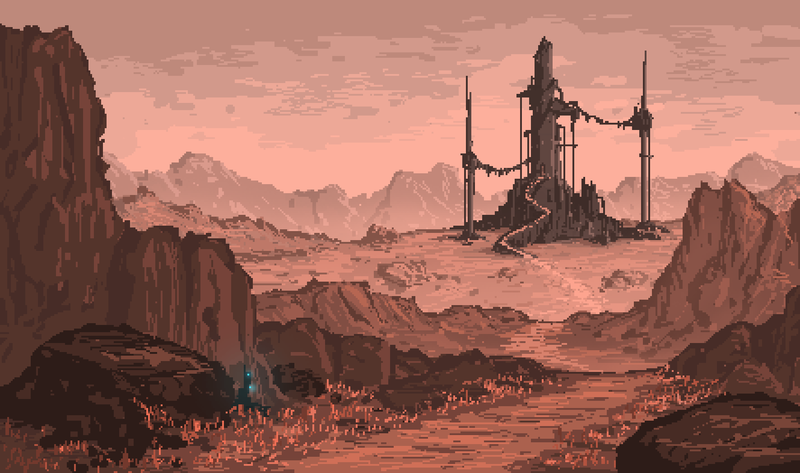 Time for some post-apocalyptic pixel art! 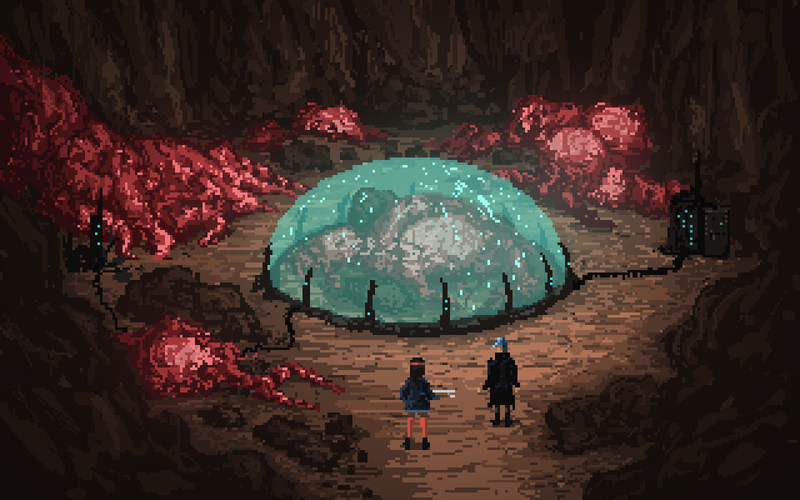 Death Trash, a post-apocalyptic roleplaying game with pixel art and a love for the grotesque, says 'Hello' to IndieDB. It looks great. I'm kind of getting that Fallout 1 & 2 feeling that I love and miss. All the flesh makes me think of The Master and The Children of the Cathedral, also from Fallout. 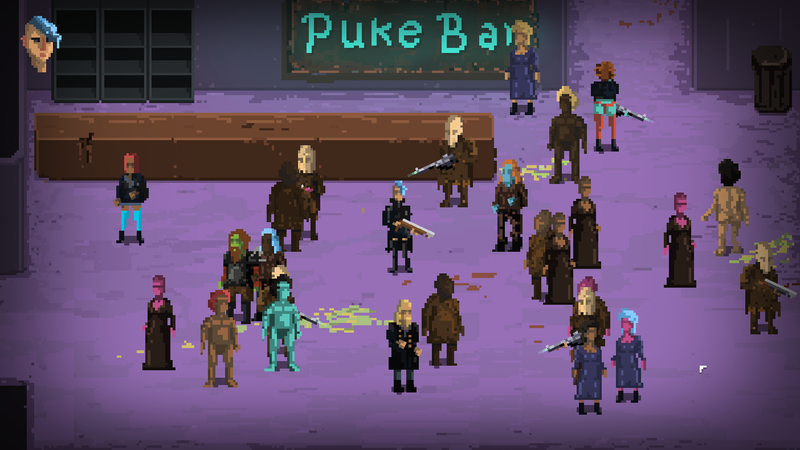 Looking forward to follow Death Trash! 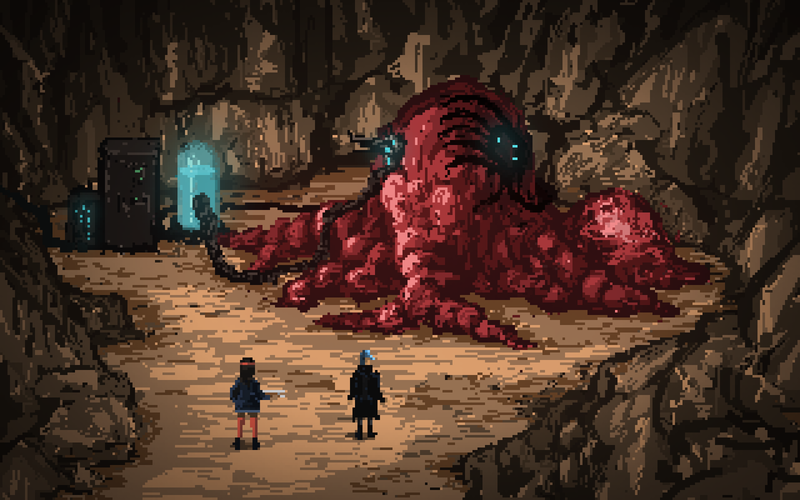 Yeah, I love Fallout and it was of course one of the inspirations while coming up with a concept for Death Trash. I want to make a demo, but I'm not sure yet when that will happen. It looks great, I feel very attracted to the grotesque scenes, good work. looks amazing freaking awesome gore style pyxel? Development continues, I'm just not updating here for the moment, sorry. Scroll through Twitter.com and you'll see some GIFs of the current prototype. Yes, it is. Didn't have much time for updates here.